No this is not a photo of zombie gore. 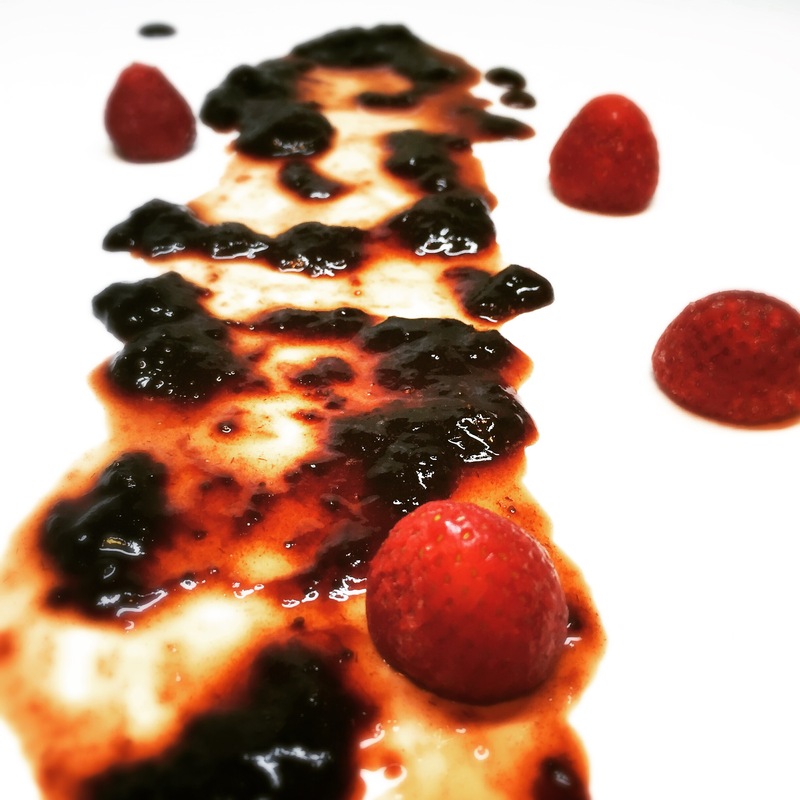 It is a photo of strawberry balsamic compote silly! The zombie gore photo’s are currently not up for display – this is a FOOD blog after all! Why balsamic? I have found that adding balsamic to berries brings out a richness in them. That’s really the only way to describe it – richness. Now let’s talk about bitters. Adding bitters to fruit accentuates the flavor and I highly recommend adding a couple of dashes to any recipe that you make which happens to contain fruit. Now that I have zombies, balsamic and bitters out of the way, let’s make some compote! 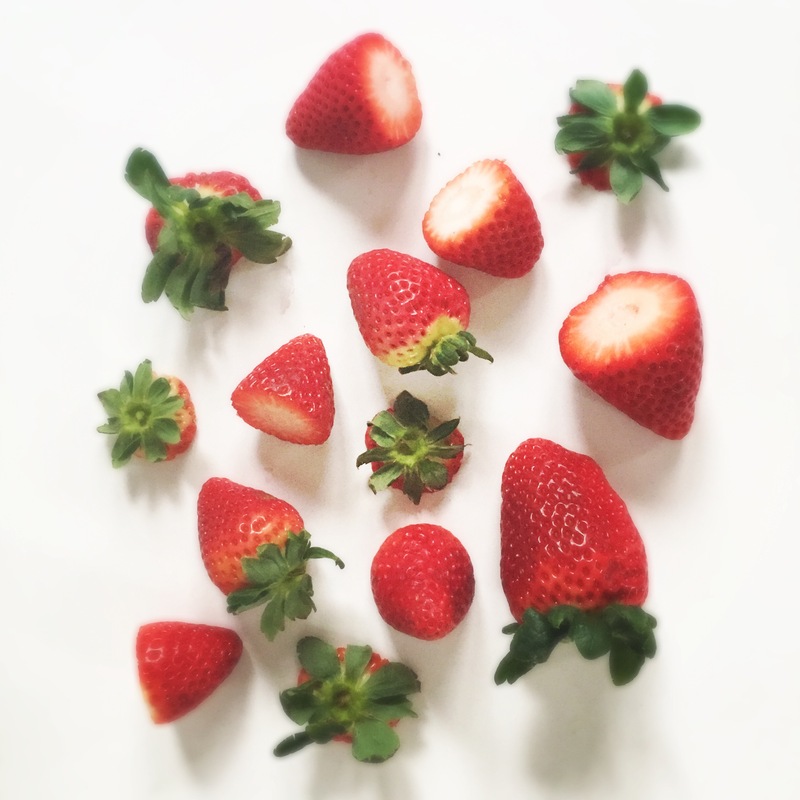 Cut the stems off of the strawberries and place into a bowl. 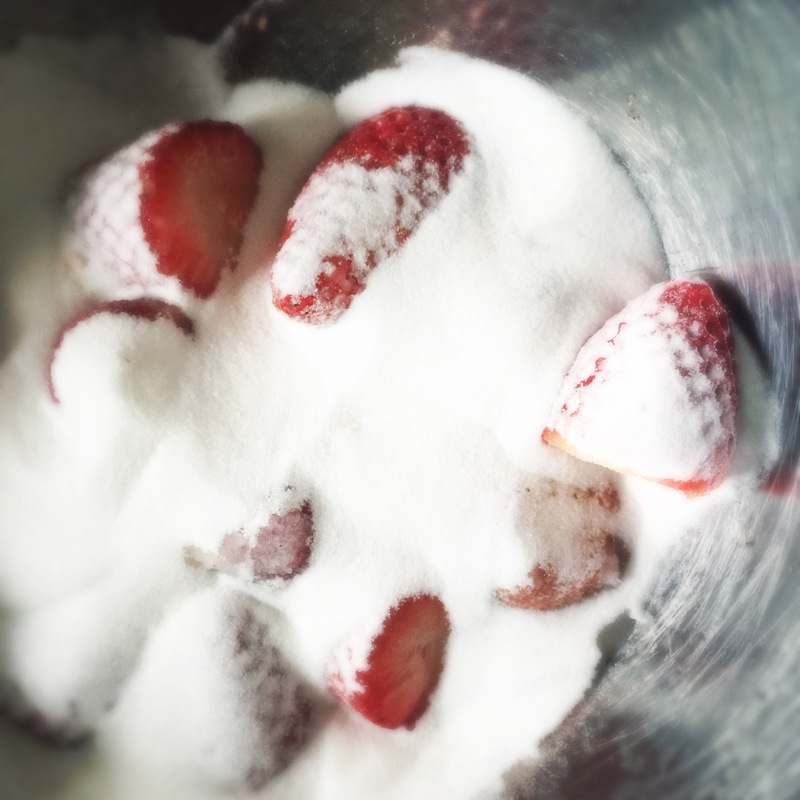 Add two dashes of bitters to the strawberries and mix. 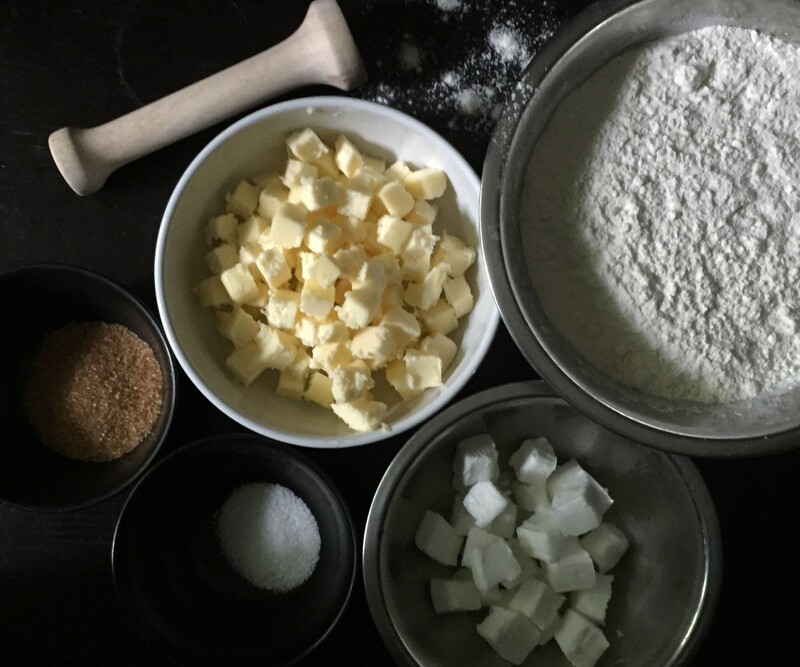 Now add one cup of white sugar and mix. 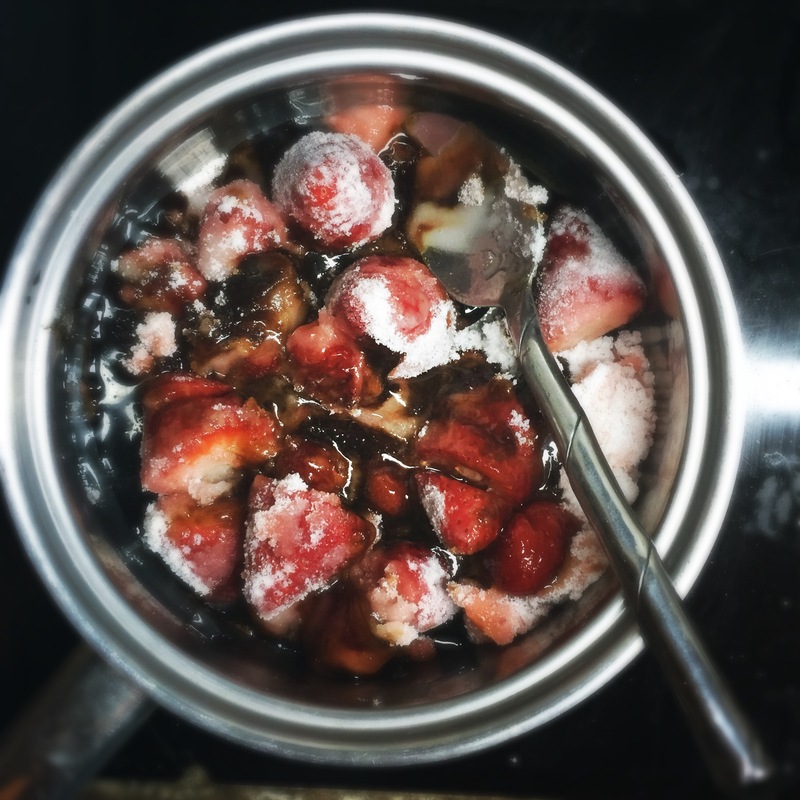 Let sit for 30 minutes allowing the strawberries to macerate. 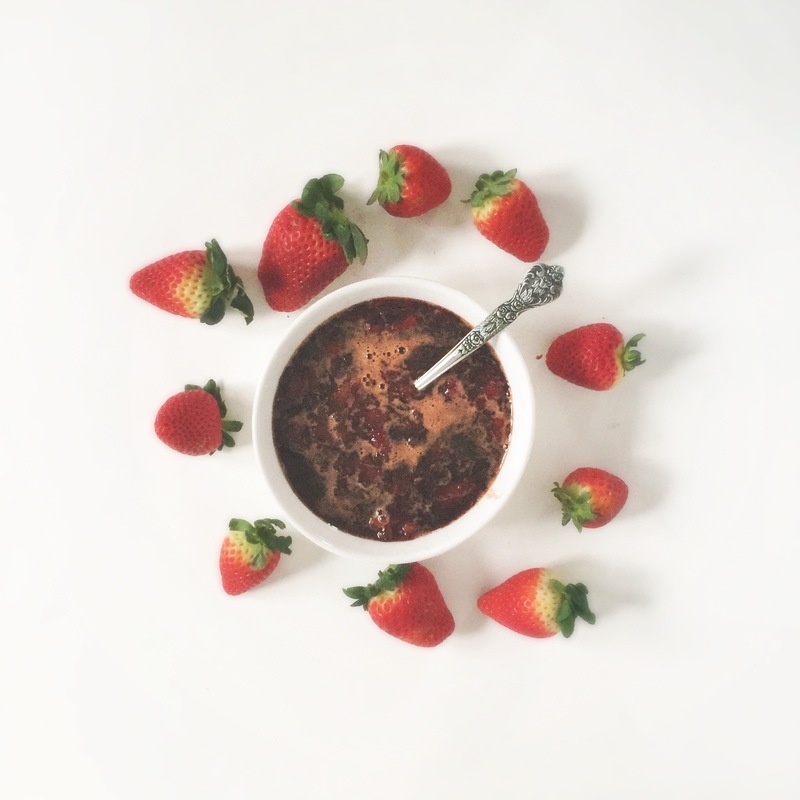 After the strawberries have macerated, add the balsamic vinegar and mix. 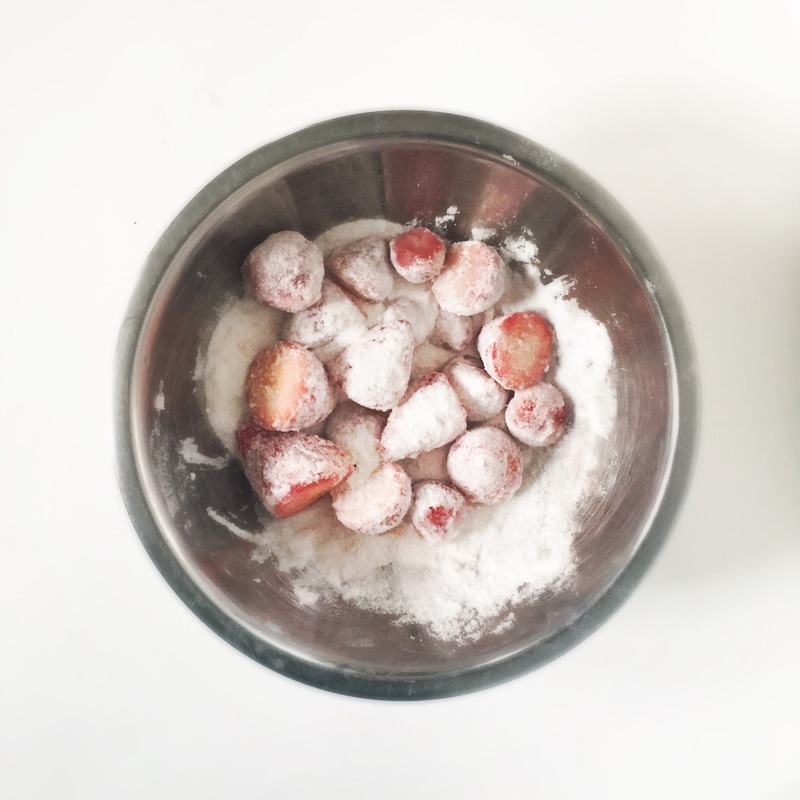 Place all ingredients into a small saucepan and heat over medium high heat until boiling, stirring and smashing the strawberries into smaller chunks as they cook. Once boiling, lower heat and simmer for about 15 minutes. Remove from heat. Compote will thicken as it cools. Serve hot on ice cream or refrigerate and use later for desired cooking project! Looks and sounds great! Where does one find bitters? You cant find it at the grocery store! I usually find it by the alcohol mixers because its used in martinis too….